Endurance athletes rarely stop trying to improve. Sitting on the couch looking at trophies and jerseys hanging on your wall won’t help you when you decide to line up for that next race. It stands to reason, then, that endurance supplement manufacturers and the scientists behind them seldom take a day off. When one product is launched, research and testing on the next big thing is already on the drawing board. Hailed by many as the best endurance supplement on the market, First Endurance’s line of Optygen products has a devoted following – so devoted, in fact, that many professional cyclists keep buying the stuff even after they sign on with teams sponsored by other fueling and supplement companies. First Endurance’s OptygenHP has been on the market for only a couple of years. But as science, research and testing yielded new evidence it became obvious to the crew at the Utah-based supplement company that a new formula would produce even better results for athletes who are continually pushing their limits in search of better performance and results in races – whether that be cycling, triathlon or ultra-running. 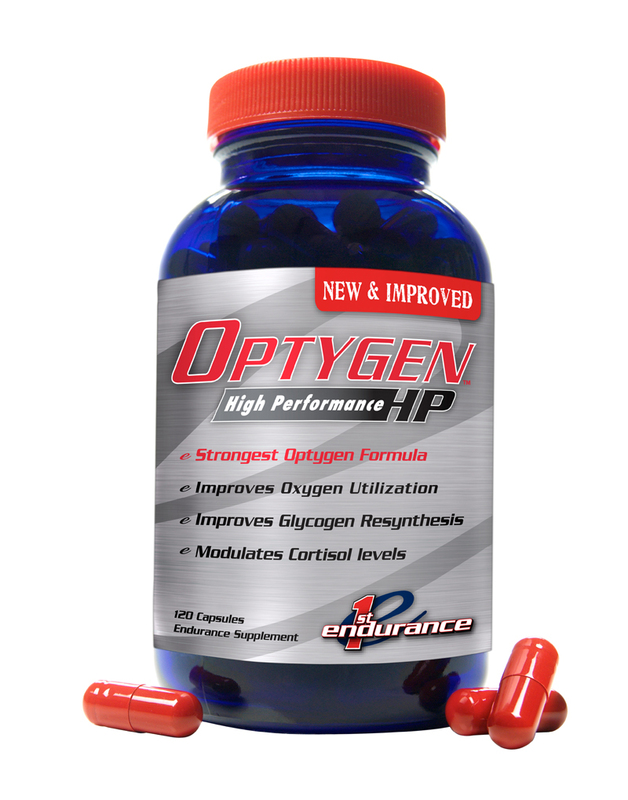 OptygenHP’s new prototype has been making the rounds with a few trusted users and the result has been unanimous – this stuff, if used with a solid training plan, makes you faster. The secret to OptygenHP’s success is its ability to modulate cortisol – commonly referred to as the stress hormone. This allows athletes to not only recover from threshold exertion faster, but to train or race longer and harder as the cortisol levels are kept in check. In numerous clinical studies, components in the OptygenHP formula were used to test athletes in their recovery time as well as in their threshold performance. The results were astounding, Kunz said. The Rhodiola and Beta-Alanine used in OptygenHP “showed a significant increase in VO2 Max, and improvement in time to exhaustion and lactate concentrations,” according to a 2012 study in the Journal of Preventative Medicine. The latest formula has increased its Beta-Alanine component by 50 percent, kept its Rhodiola but removed cordyceps from the ingredients. Simply put, Kunz said, OptygenHP allows athletes to train harder, race faster and recover more quickly because the body is less stressed physically and in many cases mentally. As the research came in and was verified, First Endurance quickly began fine-tuning its Optygen formula and sending samples to some very willing guinea pigs. Jeff Louder, a Utah professional cyclist with the United Health Care team, was among the first to test the new formula. Louder said he pays very close attention to his body during his most intense periods of racing and training. With variables such as heart rate, power and good old-fashioned gut feelings, he’s as sold as ever on the newest version of OptygenHP. “One distinct effect I see is that I have had higher peak heart rates when I take it and I feel that this is a sign that I adapt better and recover quicker when I use Optygen,” Louder said. Another devoted First Endurance user is Burke Swindlehurst. Though now ‘retired’ after a long career as a professional cyclist, Swindlehurst still rides frequently and, he says, his performance has not dropped during his golden years thanks to Optygen. The new prototype has been in the hands of some elite testers and will soon roll off the production line and onto the training tables of athletes of all levels.